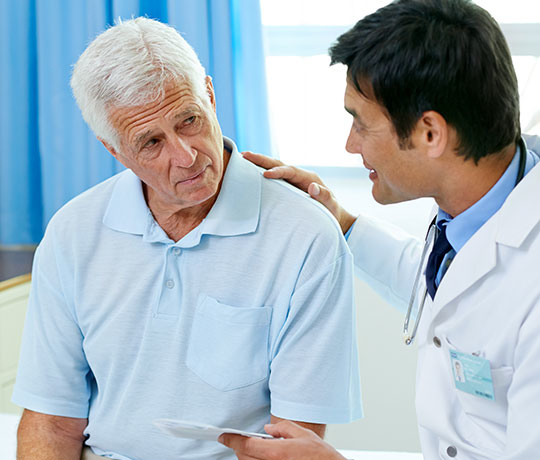 Long-term pain relief is made possible through the skill and expertise of our pain specialists. UT Health San Antonio's pain physicians provide every patient with a custom treatment plan designed to meet their specific needs. When traditional and conservative treatments have failed, patients rely on our expertise in ablation therapy for pain management. Ablation therapy is performed by our board-certified, fellowship-trained pain specialists within our office. Patient safety and comfort is always a priority. Sedative and local anesthesia are given, but most patients are awake during the procedure. Typically, the entire procedure lasts less than one hour, and our patients return home the same day. We most commonly perform ablation therapy by guiding a small needle and microelectrode to the source of the pain. Pain is relieved by the electrode which heats up the problematic nerves and disrupts their natural impulses. Many of our patients have found long-term pain relief through this outpatient procedure.